Aspen is renowned for its shopping, but what happens when you’re fully booked with First Tracks, a Snowcat Powder Tour, dining at Cloud Nine and après skiing at Ajax Tavern? Before you realize it, your trip is over and you’re in need of gifts (and maybe something for yourself too). Guests of the Little Nell need not worry. Our concierge will gladly pick up packages around town, and our new full-service boutique is a secret spot for luxurious goods. 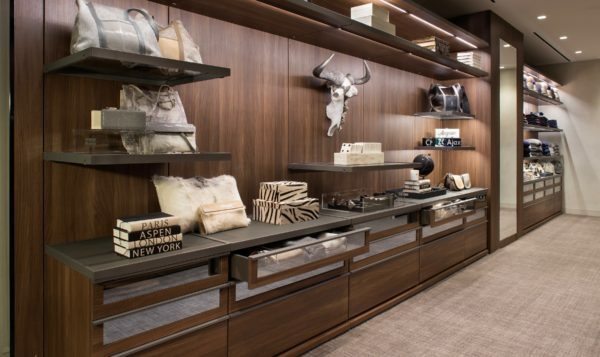 Before you head to catch your flight, stop by our boutique, and bring a piece of Aspen home with you. Here are a few of our favorite finds. Some standout items in the sleekly designed “mountain modern” space are the alpaca winter hats. They’re perfect for ski bunnies and their kiddos, so stock up on a few to bring home to friends as gifts. Helmet hair is basically unavoidable at the end of a big ski day; you should snag one for yourself as well. 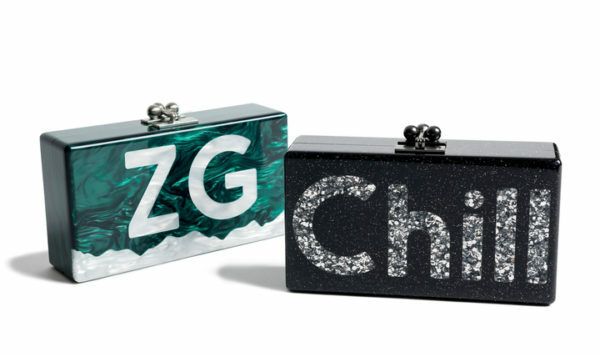 If you need something more high-end for a fellow Aspen lover, pick up a custom-designed Edie Parker clutch embossed with a fun saying like “Chill.” My clutch of choice is the white and green Edie Parker with the simple “ZG” marking. ZG is a nod to the original license plates in Aspen, which always started with ZG and a set of numbers. Much like “ACK” in Nantucket, true locals and longtime visitors recognize ZG as a more subtle way of referencing Aspen. For couples who left the kids at home or those on a “Babymoon,” pick up a couple of custom Teddy bears made by Elder Statesman. Your kids might not totally forgive you for leaving them behind, but a few surprises tucked into your suitcase will go a long way. If you want to really dress like a local, and possibly get mistaken for one while at Chair 9, pick up an Alp-N-Rock Henley shirt. These are the same alpine-inspired, super stylish shirts that our servers wear when serving up your Hot Toddies and hot chocolate spiked with Peppermint Schnapps. We tend to over pack, and our guess is that most Aspen visitors come with plenty of sweaters and cozy clothes, but once you set your eyes (and hands) on White + Warren’s cashmere wraps, you may need to make some room in your suitcase. You’ll also be tempted by their cushy slippers and luxurious eye pillows. Continue your exploration of fine wines after you leave Aspen with elegant stemware. Our boutique has options from Zalto, an Austrian glass operation that has artfully perfected stemware. You can never have too many purses, and Vivo is a fabulous addition to any woman’s collection. Made of shagreen, python, and full-grain leather, these classic pieces will complete your look around Aspen and when you arrive back home. While at The Nell, be sure to wander into some of the other boutiques with whom we share walls. Betteridge, Dennis Basso, and Gorsuch are all makers of fine clothing and/or jewelry. If you are able to sneak into town for an afternoon of shopping, stop by Kemo Sabe and Pitkin Country Dry Goods. Kemo Sabe boasts boots, buckles, leather goods, and vintage finds for your inner Western warrior. Pitkin County Dry Goods is the longest running family-owned business in Aspen; walking in is a nostalgic experience. Besides these central Aspen staples, Aspen Sojourner has already listed our boutique as one of the top places to shop in Aspen this winter. Even if you’re not staying at the Little Nell, chances are you’ll be by for drinks or dinner at some point. Swing by; we’ll be updating our finds each season so you’ll always have something to look forward to. What better way to take Aspen home with you? Visit The Little Nell’s new boutique in the lobby, next to the front desk – open daily from noon to 9 p.m.
Full Moon Powder Tours? Yes, Please.